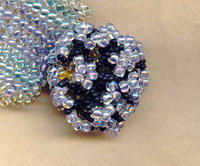 Each bead is hand stitched into place using the Ndbele or herringbone stitch. There's an old gold ruffle of smaller Japanese seed beads at the edge. 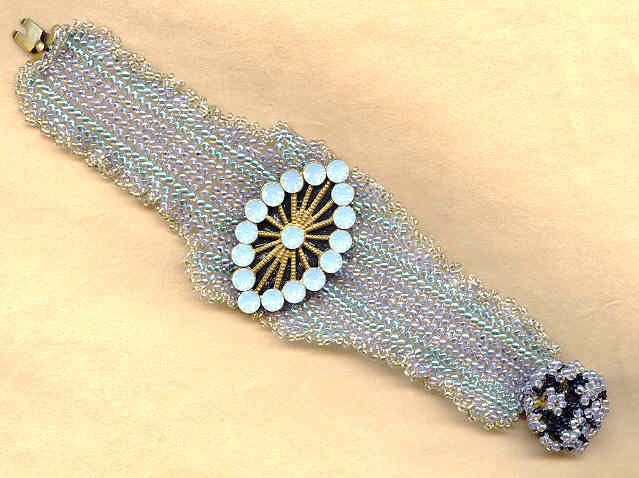 The showpiece of the beaded bracelet is the plaque: it's made of a vintage brass stamping set with vintage white opal Swarovski crystal rhinestones, and bonded onto a piece of black leather. 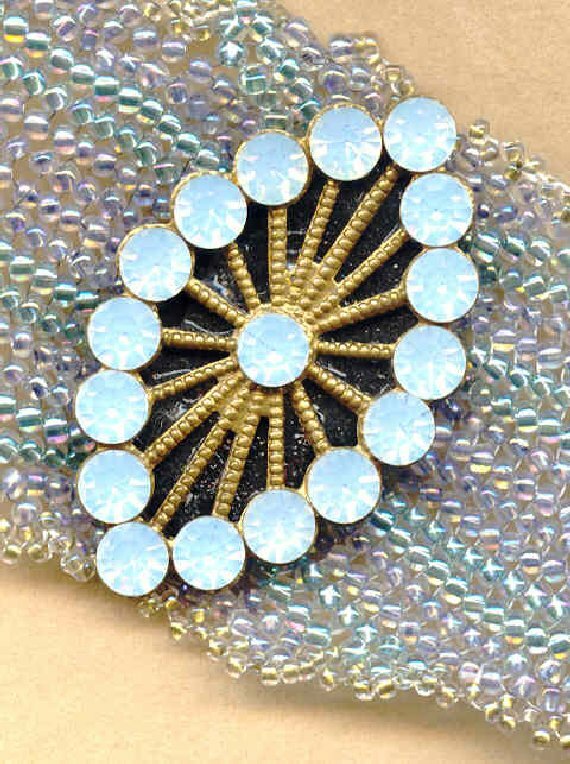 I've used the violet Italian seed beads and matte black Japanese seed beads to make beaded tufts and ruffles on a vintage brass clasp. The beaded bracelet measures roughly 7-1/2" long by 2" at its widest. This fantastic beaded bracelet is brought to you by SPARKLE PLENTY, of course. The charming 18mm flower was made in West Germany in the late 1950s. They're a pretty, feminine violet colour.